Are you looking to sign your child or even yourself up for Shotokan karate class in Superior, CO? At Harambee Karate Club, we teach mental and physical discipline, perfection of character, and other valuable lessons to students of any age or gender. Sign up for our biweekly classes today and take part in a fulfilling and fun physical art form. In Shotokan Karate-do, we follow the precepts of the "dojo kun" authored by our founder, Funakoshi Gichin. Namely, to seek perfection of character, to be faithful, to endeavor, to respect others, and to refrain from violent behavior. We encourage students at our dojo to advance through these precepts in their training with ongoing, successive Shotokan karate classes. This is both a discipline and an art beneficial for all ages and genders. We welcome new members! There are many different types and forms of martial arts, with different forms of karate being the most common. Of the many types of Japanese karate, Shotokan is one of the most widely practiced due to its clear philosophy, powerful techniques, and value as a character-enhancing physical art form. Students may join Shotokan karate classes for a variety of reasons -- to learn discipline, find an activity to do in their free time, or to become more physically active. But the lessons learned in our classes will improve any student’s mental and physical well-being for the rest of their life, regardless of why they initially joined our school. 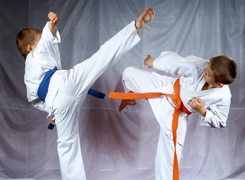 Whether you’re a parent searching for an enriching activity for your child or entire family to enjoy, a student seeking to add Shotokan karate to your martial arts skills, or a person in need of self-defense skills, our karate classes are perfect for anyone interested in learning more about this valuable and exhilarating form of karate. Mr. King began his karate training in September 1986 at the Japan Karate Association of Boulder. In April 1992 he founded Harambee Karate Club. The dojo now located in Superior, Colorado, offers classes in traditional Japanese karate. On 2 March 1991, King earned his Shodan ranking (1st degree black belt, Reg #IS-USA-1-0476). On 15 June 1993, he earned Nidan ranking (2nd degree, Reg #IS- USA-2-0279), and on 19 December 1997, Sandan (3rd degree, Reg #IS-USA-3-0273). In September 2001, Mr. King earned "D" ranking as a karate judge. On 15 March 2003, King entered the ISKF/JKA Instructor Training Program in Denver and completed that training in 2008. This training was a comprehensive program of karate classes, papers, and examinations covering karate history and philosophy, kinesiology, basic and applied techniques, self-defense, and lesson planning. King earned "C" ranking as a karate judge in June 2003, and Yondan ranking (4th degree) ranking (Reg # IS-USA-4-0212) on 13 March 2004. 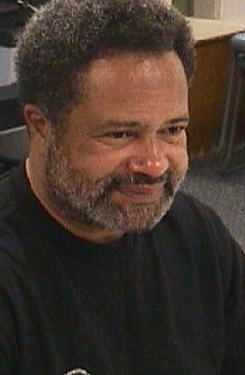 In June 2006, he secured "D" ranking as a certified Instructor. In 2008, at ISKF master camp, King earned "D" ranking as a certified examiner. Contact us to sign up for karate classes with our skilled instructor. We are proudly located in Superior, Colorado. Dojo is Located on the corner Of Depot Street and 3rd Avenue.